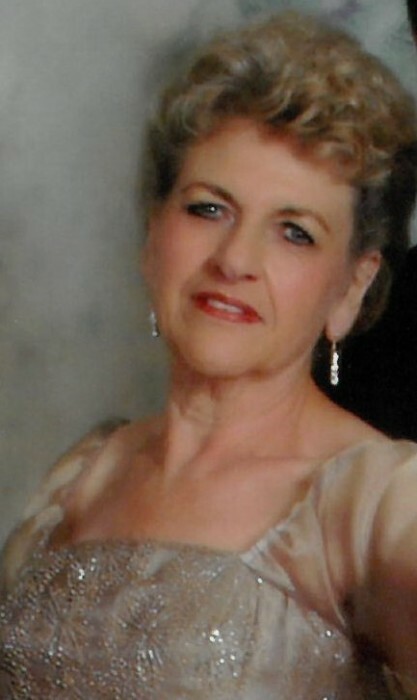 Patricia Ann Lawrence Achee , know as "Ms. Achee from Gautier" August 8, 1939-April 11, 2019. She was the youngest of six children born to Clyde and Clara Belle Lawrence, of Marvel, AL (Coal miner's daughter). A long time member of Gautier United Methodist Church, she worked for Alabama Power before moving to Mississippi to raise her family. As her hardest job, Homemaker, she was always on the go with the girls to dance, swim meets, sporting events and band competitions. As her girls grew up, she worked at Hood's Florist then as a Kindergarden Asstistant Teacher at College Park Elementary School. Her home was always open to family and friends with one of her many signature meals and desserts. Later in life, she began her ballroom dancing career, where she won numerous awards/competitons. Preceded in death by her parents Clyde Levi and Clare Belle Lawrence, sisters Helen Smith and Nell Mullins, brothers Wallace Lawerence and Jimmy Lawerence. Survived by her brother: William "Billy" Lawrence, four daughters: Kim (Billie) Sheppard, Kay (Terry) Smith, Kellie(Opie) Miller, Kristie Achee. Seven grandchildren: Christopher (Britney) Penton, Lauren Penton, Breland (Kelsey) Sheppard, Kolby Sheppard, Logan Smith, Gavin Smith, Zachary (Brittany) Bond. Six great-grandchildren: Amelie Penton, Jayden Allen, Layla Allen, Beckett Bond, Brody Bond and Brantley Bond. Dad of the 4 girls (KMAs) and Friends to the End: Lloyd J. "Jim"(Guadalupe) Achee, Jr. And numerous nieces and nephews. Celebration of Life Service will be April 29th at O'Bryant-O'Keefe Funeral Home in Gautier, MS from 10:00 am to 12:00 pm. In Lieu of flowers, donations to the Alzheimer's Association will be appreciated. There's still time to send flowers to the Visitation at the Gautier O' Bryant-O'Keefe Funeral Home from 10:00 AM to 12:00 PM on April 29, 2019.